CCP games has been kind enough to provide Crossing Zebras with a handful of keys in order to review and play the new release of Eve: Valkyrie – Warzone. I would like to personally give a thank you to CCP games and CCP Manifest for the opportunity to review the latest addition to the Eve universe. 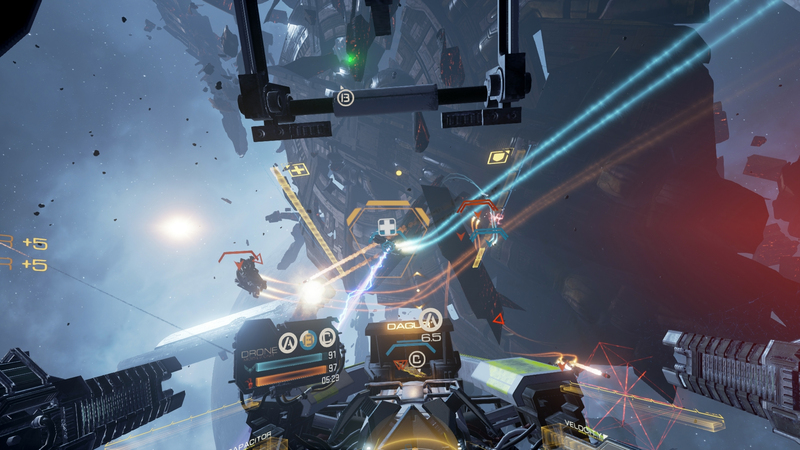 Eve: Valkyrie – Warzone is an expansion to Eve: Valkyrie and a re/release of the popular VR title that shipped originally with the Oculus Rift. The game is set in the Eve universe and puts you into the cockpit of a fighter flying for the Valkyries, a squadron of elite pilots that wage battle across New Eden. It is a fun and interesting dog fighting game with PvE and competitive PvP style game-modes like base-defense and capture the flag. Eve: Valkyrie- Warzone should be an enjoyable experience to people who like a competitive-style gameplay but doesn’t have much to provide for those looking for a more in-depth exploration of the EVE Online universe. I will detail all of this in my review so sit back and enjoy the show.